The series 65 jet nozzle assembly comprises of a four part assembly, comprising of a weld on socket, tungsten carbide jet nozzle, threaded nozzle retaining jacket and O-ring. These assemblies are an essential part of any drilling contractors on-site inventory as they can be quickly incorporated into on-site tooling when unexpected conditions are encountered and/or incorporated into new tooling. “Our stainless steel assembles have proven to reduce damage caused by rust and corrosion, reducing maintenance and costly tool repairs”. The series 65 jet nozzle assembly comprises of a four part assembly, comprising of a weld on socket, tungsten carbide jet nozzle, threaded nozzle retaining jacket and O-ring. 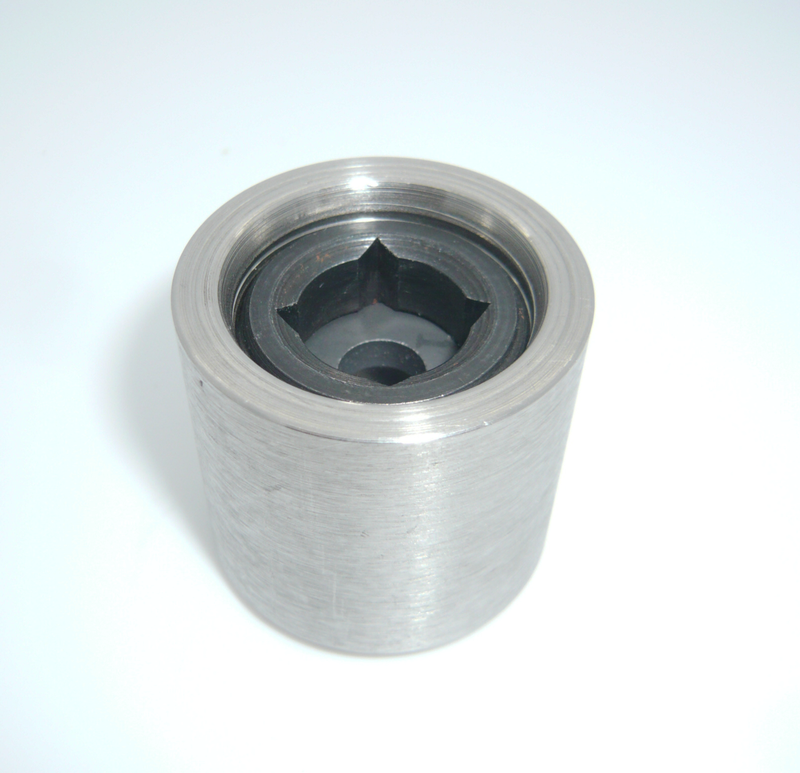 This assembly is ideal when building in-hole tools where high presser fluid is used to aid in the cutting (hole opening) by flushing the cutting surface, thus extending the life of the cutters and aiding in the cutting of formations . Properly placed jet nozzles are proven to increase the rate of penetration (ROP). Increased ROP, reduces time and cost of the hole-opening operation thus reducing the overall operating cost to the contractor. 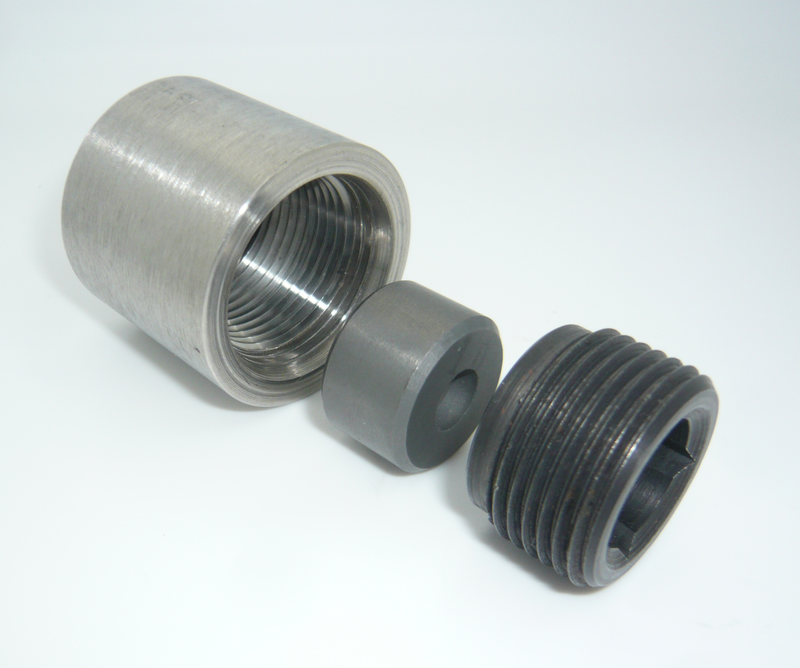 High pressure flow, exiting the nozzles adjacent the cutting face, washes cuttings away from the cutting surface helping increase the rate of penetration (ROP) and the life of the cutters. By efficiently removing the cuttings away from the leading edge of the cutter insurers that cuttings are not being re-cut or act as an abrasives which will shorten the life of any cutter. 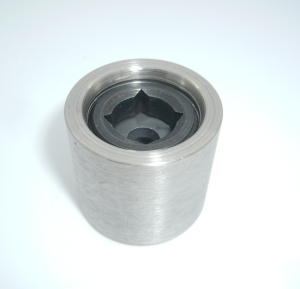 The socket weldment can be ordered in two materials, Steel Alloy as well as 316 Stainless Steel. Carbon 0.08% max. Silicon 1.00% max. We stride to meet our customer’s needs. Customers having special design and material criteria are encouraged to contact us for price and minimum order requirements.